A responsible climber always seeks to mitigate the risks and dangers inherent in rock and mountain climbing. One simple, effective and important measure is to always wear a helmet when you’re climbing. It protects you from hitting your head during a fall and serves as a shield from falling rocks or objects, both on the wall and on the ground. Whether you’re sport climbing at your favorite crag, ascending mountains in alpine climbing or scaling frozen waterfalls, a helmet can prevent serious injury or worse, so you have no excuse not to wear one. We have selected the five best climbing helmets for you to choose from, all of which are good choices for most types of climbing. For more of my top climbing gear recommendations, have a look through these popular Outside Pursuits guide links: Harnesses, Shoes, Rope, Pants. 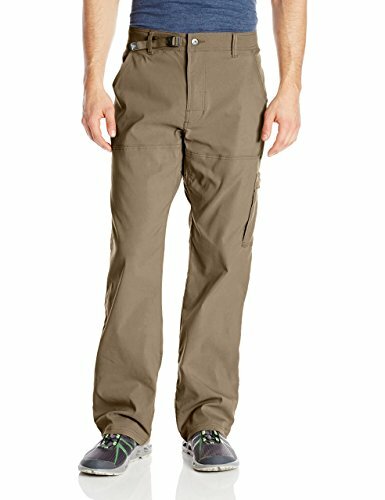 To help you reach a decision, we’ve highlighted the strong points for each and which climber and environment they suit best. 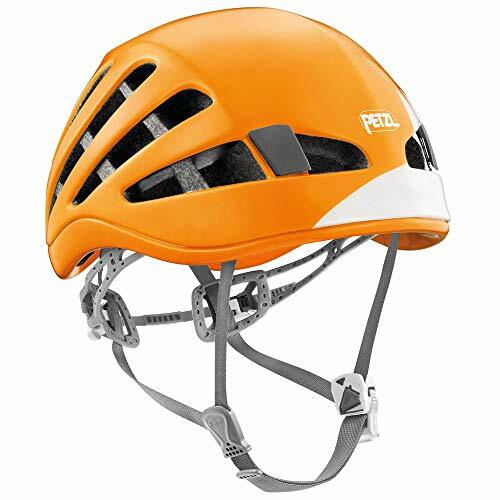 The Petzl Meteor climbing helmet is versatile and suited for a wide range of activities. It is comfortable to wear thanks to its low weight, excellent ventilation, innovative adjustment system and soft headband. It is available in two sizes, which makes it a unisex model that can fit small and large heads. 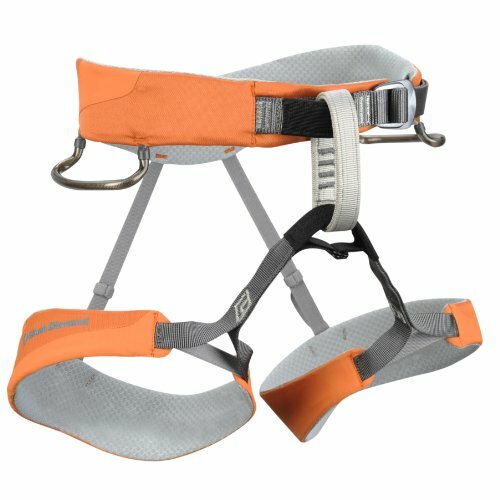 The manufacturer managed to balance protection, weight and comfort with the Petzl Meteor. 14 large vents ensure you’ll stay cool, the magnetic buckle on the chinstrap can be closed with one hand and you can make quick adjustments without taking off the helmet. The headband folds back inside for storing. When worn, it stabilizes the helmet by molding to the shape of your head. The lining allows sweat to dry while preventing water from penetrating. The external shell is waterproof and durable, but not as hard as on hard plastic models. The four integrated clips are great to have for attaching a headlamp or camera. The Petzl Meteor is a the best climbing helmet for most scenarios except ice climbing. With the Wall Rider, Mammut delivers an all-around climbing helmet that is durable, lightweight and comfortable. The shell is a hybrid between expanded polypropylene and hard plastic in the front and center. That way, you can trust in the protection of the hard shell and still get the benefit of the EPP cushioning properties. Generous ventilation openings help you stay cool, and the ergonomic interior is comfortable. The all-round chin strap is fully adjustable, and the suspension system uses thin webbing that is supposedly adjustable on the fly as well, yet it can take a few tries to get it right while wearing the helmet. Once you find your fit, the Wall Rider stays on your head all day without being uncomfortable. Two clips and an elastic strap allow you to attach a headlamp in the front. The Wall Rider is a top choice for all types of climbing and my top pick for best mountaineering helmet. If you can spend a bit more, the Salewa Vayu Climbing Helmet is another hybrid model that is comfortable enough to wear all day with a weight of 8.6 ounces, yet has a hard polypropylene shell that can take multiple impacts and will still protect you. A helmet with a hard plastic shell offers you the most protection and is durable enough to last beyond just a single impact. The Petzl Elios climbing helmet is such a model. The construction features a durable ABS shell with an expanded polystyrene liner that is relatively comfortable on the head. Two large buttons allow for headband adjustment, even when the helmet is worn, though both hands are required. The buckles are placed to the sides, keeping your chin free, and you can position the chinstrap forward or back according to your preference. You can attach a headlamp to the four integrated clips and the Petzl Elios has ventilation shutters you can close with a slider in case of rainfall. This is a durable climbing helmet suited for the full range of mountain activities, and is my top pick as the best ice climbing helmet. The moderate price makes it a good choice for beginners as well. If you’re an ambitious alpinist or are convinced every ounce matters when approaching your projects, the Petzl Sirocco climbing helmet is for you. 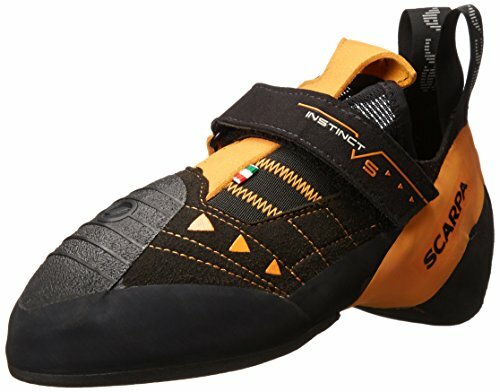 This ultra-lightweight climbing and mountaineering model features optimized volume on the head, excellent ventilation and maximum comfort. It is constructed with an EPP shell and a rigid crown on top that is injected with EPS foam. An adjustable headband and chinstrap provide the necessary adjustability while the magnetic buckle on the chin can be fastened with one hand only. Two hooks and a rear elastic allow you to attach a headlamp. The Petzl Sirocco is so comfortable that it might seem like the ideal helmet, but a word of caution: it’s more fragile than other models and might not last that long if you’re a beginner, expect a lot of impact or rockfall and generally don’t take care of your helmet. Pick this helmet if you absolutely need to shed some gear weight. The Petzl Sirocco first generation climbing helmet is cheaper than the second generation and at 5.6 and 5.8 ounces for the two sizes the lightest climbing helmet. It features a monobloc EPP shell (known as the “foam dome”), yet lacks the extra protection of a hard plastic plate. The Black Diamond Vapor is available in two sizes of 6.6 and 7 ounces and is a light, breathable and comfortable helmet in the upper price range. Slightly heavier but cheaper is the Black Diamond Vector, a versatile hybrid-shell helmet with 8.1 and 8.5 ounces for the two sizes. The Camp USA Armour rock climbing helmet is gaining popularity thanks to its budget price and full protection with an ABS hard shell and crash-proof EPS foam liner. This comes at the cost of weight and this model is the heaviest of our selection, yet the Camp USA Armour is surprisingly comfortable. Not only does it feature generous ventilation slits to keep your head cool, but it stays well in place once it has been adjusted to your head with the spinning dial in the back and the chin strap. The helmet sits relatively high on your head without making you feel top heavy. The effect is that despite the weight, your head is not pushed down between your shoulders. There is only one size available, but extra padding foam you can add provides further fit and comfort. Despite the weight, downsides of this helmet are the bulky chinstrap, which is padded but can be irritable to some climbers. Also the front and back headlamp clips are not as easy to use as on pricier models. All in all, you don’t have to reach deep into your wallet for the Camp USA Armour and in turn get a fully certified, protective helmet that is probably the best climbing helmet for beginners and suitable for most climbing activities. 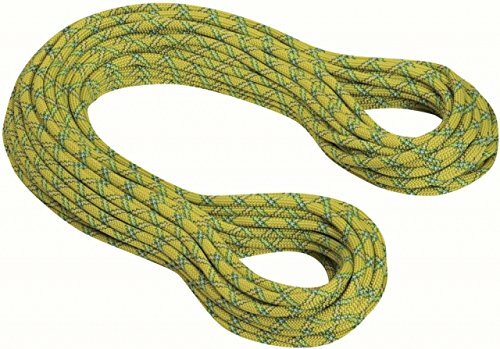 Another good budget option is the Mammut Skywalker 2. This robust plastic hard shell helmet has a strong EPS inner lining and a wheel for quick adjustment. It’s CE EN 12492 certified and can clip a headlamp as well. The Edelrid Shield II also features an entry-level price and comes with a tough polycarbonate shell over an expanded polystyrene core. The one size has a dial adjustment to fit heads of many sizes and you can pad the ergonomically-shaped interior with included foam pads. Which Model Helmet is Best? The type of climbing you do and your surroundings will guide you. 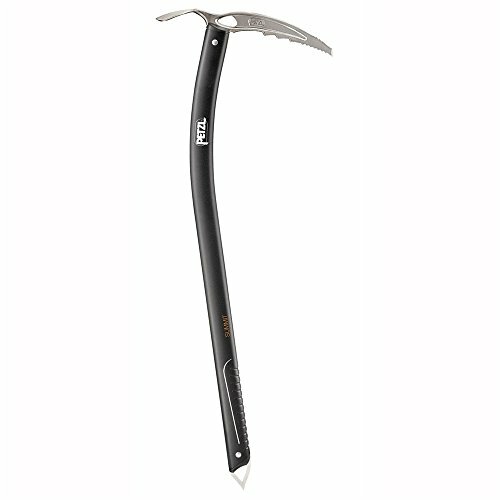 If you’re doing alpine and ice climbing, a versatile and durable model serves you well. If you’re sport climbing a lot and look for comfort, consider a lightweight helmet with good ventilation. Beginners can look at budget models or go with our top pick. Notable extras are how easily a helmet can be adjusted and if you can fit a headlamp on top of it. A rock climbing helmet is similar to a bicycle helmet in the sense that after a serious impact, you should discard it for safety reasons. However, a few durable models can take several hits before they need to be exchanged. Your head is arguably your most important asset, so consider a climbing helmet a fundamental piece of safety equipment. The basic logic is, better safe than sorry – from which you can conclude that a helmet should even be worn at the gym. You might not see many climbers doing that, but nasty falls and dropped equipment happen everywhere. If you think of indoor climbing as preparation for outdoor climbs, then practice every step of the way by always wearing your helmet. There is no argument against safety. 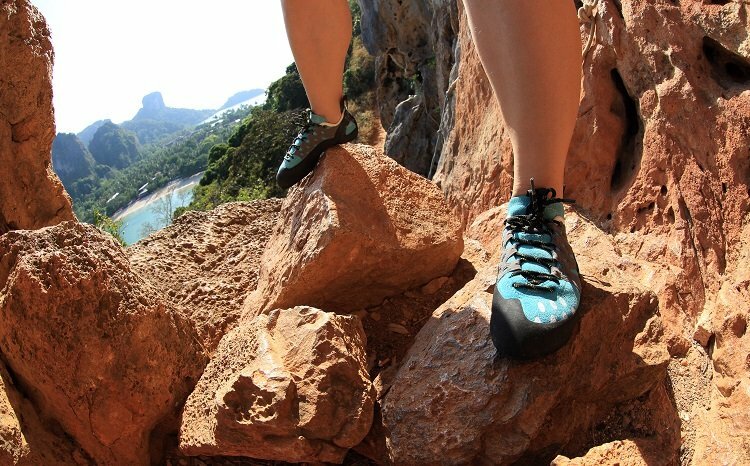 Our selection above introduces you to five great models and some alternatives suitable for a wide range of climbing types and scenarios. In the following, we’ll further explain the most important features and characteristics so you can understand what you need and pick accordingly. We can’t stress it enough: a helmet is there to protect your head. Helmets offer the greatest protection on the crown and against objects such as rocks, gear or ice particles falling from above in a climbing or belaying situation. They do protect from side and rear impacts as well following the CE EN and UIAA (International Climbing and Mountaineering Federation) certification. All models introduced here have this certification. However, their primary use is for mountaineering – protective hats for work and construction require different certificates and you should not interchange hard hats, even though they seem protective enough. Regarding the material used, climbing helmets fall in either of two categories: a lot of foam with a bit of hard shell (or none at all), or a bigger hard shell on top of a little bit of foam. Hard shell helmets have an outer form of ABS plastic that serves as the main structural element. The foam inside helps absorb the shock and to fit the helmet on your head. These models are heavier and more durable. Lightweight foam helmets use the foam material as the main structural element, which can sometimes be protected by a thin layer of polycarbonate plastic. There are two distinct foam types: expanded polystyrene (EPS) is very hard and serves to absorb the shock. Under stress, it cracks and fractures, so these climbing helmets are single impact only. Expanded polypropylene (EPP) absorbs impacts without shattering. It is definitely more durable and results in lightweight, multi-impact helmets that have no shell or only a minimal one. While mostly subjective, comfort is a crucial aspect, because if your helmet is not comfortable, you’ll stop wearing it when the whole point is that putting on your helmet should be second nature like putting on your climbing pants. Every head is unique, so what’s comfortable for you will depend on the size and shape of your head. Common problem areas are ears and chin, where straps can make themselves known uncomfortably. Lighter helmets tend to be more comfy, yet the Camp USA Armour shows that even a heavy model can feel great. Keep in mind that a helmet needs to accommodate longer hair (usually worn in ponytail). Another big issue is ventilation: if you get too hot under a helmet’s shell, you’ll be sweaty and uncomfortable and lose concentration. While summer and sport climbers should think of staying cool, ice climbers need to worry less about ventilation but consider they might need room for a thermal layer underneath. The drawback of cooling slits is the compromised structural integrity of the helmet. The weight of a rock climbing helmet is the issue between comfort on one side and protection and durability on the other. Lighter models tend to be more comfortable and easier on the head and neck, especially in long routes and during long days. If you’re one of those climbers who constantly checks the grand total of gear weight, a lightweight option is definitely for you. Beginning climbers and occasional weekend mountaineers don’t need to focus on this aspect so much. Similar to a bicycle helmet, a climbing helmet is there to break instead of your head in case of high impact force. Depending on the material, this means they will withstand only one or few incidents or a couple. It doesn’t always have to be falling material: you could also take an uncontrolled fall or bump into a protruding rock. Especially beginners often scrape their helmets against the wall or connect with all sorts of obstacles. A hard shell helmet will definitely last longer. If you have some experience already, go for our top pick, the Petzl Meteor, which offers a good compromise, same as the Mammut Wall Rider. You can also extend the lifespan of your helmet by not kicking or tossing it around, and you should not use it as a headrest or seat. You helmet should fit as snugly as is comfortable. There should be little to no movement while you turn your head. A floating shell is an indication of a size too large, but if the helmet doesn’t cover your head properly, it’s too small. Most helmet come in either one or two sizes and offer various means of adjusting the fit. The large size is generally for people with unusually large heads. A strap and buckle around the chin is common, and most helmets have another adjustment strap around the head. The chin strap should be tight without choking you or being uncomfortable. The rear adjustment is there to force the head into the front of the helmet, which is essential for optimal fit and protection. This fine-tuning requires two hands on some models. It only becomes an issue on longer routes and alpine scenarios where you might want to put on a beanie for warmth while you’re mid-route. Most helmets are compatible with headlamps. If anything, you can string a torch with elastic webbing around the helmet instead of your forehead like you’d normally do. Some systems are easier to use than others or hold the lamp more firmly in place. A headlamp is important for climbs that start pre-dawn, when you caught in low-light conditions or actually spend the night on the wall in a mountain ascent. The best climbing helmet is the one you wear. Your head is worth the money to spend on a helmet that can prevent injury, trauma or even death. Wearing a helmet is a simple and effective way of minimizing risks. You can lead by example and put on yours for all climbing activities. Yes, there is no rockfall at the gym, but it happens all the time that a climber’s foot is caught behind the rope, which can flip them upside-down and result in a head-on collision with the wall. Looks and style are not important when it comes to helmets, so use our selection above to pick a model that fits your climbing activities and terrain best. Insists your belayer also wears a helmet and be safe! I hope this guide was helpful for finding the best climbing helmet to fit your needs. If you want to comment or recommend a helmet I didn’t include, please use my contact form to get in touch. Stay safe and warm out there and enjoy your snowy and icy outdoor activities!